Today was so hot! I spent most of the day up on the roof tanning but I get bored so quickly that after a while I decided to go downstairs again and put in some more work on my drawings. After dinner me and Mike went for a little walk around the neighborhood and you know when you pass a shop and everything just smells like fresh made waffles, well that happened on our walk as we passed by Bluebird (totally not intentionally on my part hehe) so obviously we decided to get som late night ice cream. 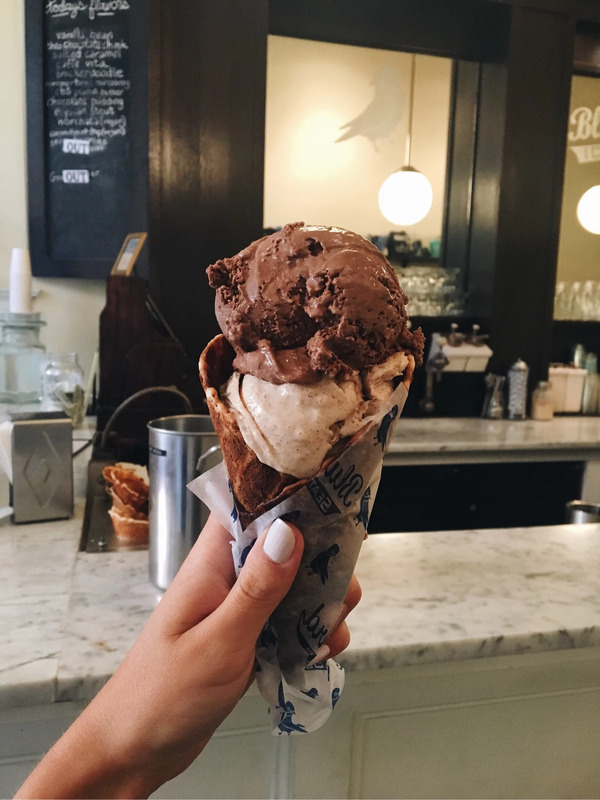 The best part (and sometimes also the unhealty part) with living so close to everything is that if you get cravings, you just run down the street 2 minutes and get the best homemade ice cream there is!